From classical to modern. Public readings, seminars and concerts develop a special kind of ambiance in the atmosphere of Lenzburg Castle. Let your audience dwell in the medieval setting and be carried away to their very own sensual experience. The Knight’s Hall offers perfect infrastructure, seats up to 500 people and features a grand stage for any kind of cultural journey. REPRESENTING THE ONCE VIVID MEDIEVAL LIFE AND LONG FORGOTTEN TRADITIONS LENZBURG CASTLE UP UNTIL TODAY BEHOLDS A CAPTIVATING ATMOSPHERE. AS A CENTRE OF CULTURAL DEVELOPMENT AND LIVING HISTORY THE HILLTOP STRONGHOLD HAS ALWAYS BEEN A SOURCE OF GREAT INSPIRATION, FOR NEW ENCOUNTERS AND SILENT REFLEXION. MINGLE IN THE COURTYARD, BREATHE SOME FRESH AIR, ENJOY THE MAGNIFICENT VIEW AND ESCAPE FOR THE DAY. Professional advice and a helping hand is always welcome when you are planning a public event on a historic site. Feel free to ask us about the possibilities and conditions that do apply. You can always count on the help of our event partners to take as much as possible off of your back. Open up to new ideas and get creative at Castle Lenzburg. Our premises allows for many different forms of workshops. You can get participants to work in small groups or lecture from a big screen. Presentation technology is available through our partners. They are familiar with the location and deliver hands-on advice and solutions to provide excellent quality of sound, light and presentation technology. 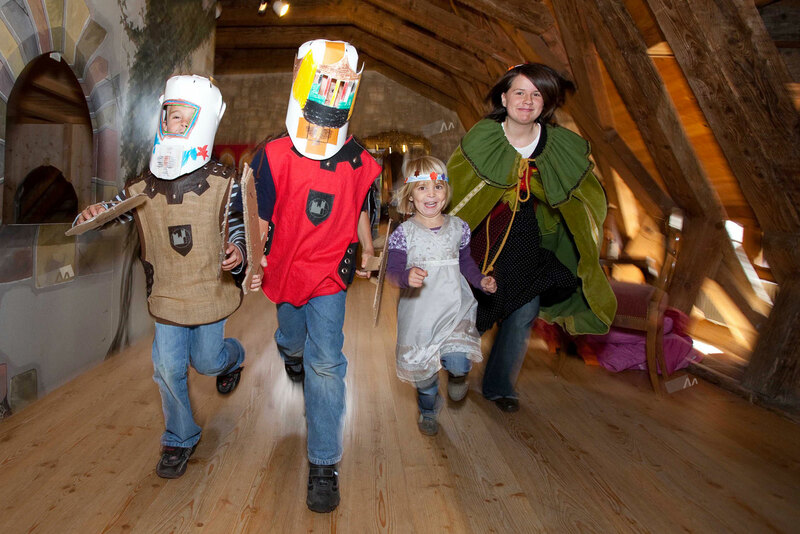 Open up to new ideas and get creative at Lenzburg Castle. Our premises allow for many different forms of workshops. You can get participants to work in small groups or lecture from a big screen. All our seminar and lecture rooms are equipped with comfortable event technology such as lights, microphones and beamers. For special requirements let us introduce you to our partners who are specialized in event technology. They are familiar with the location and deliver hands-on advice and solutions to provide excellent quality of sound, light and presentation technology. 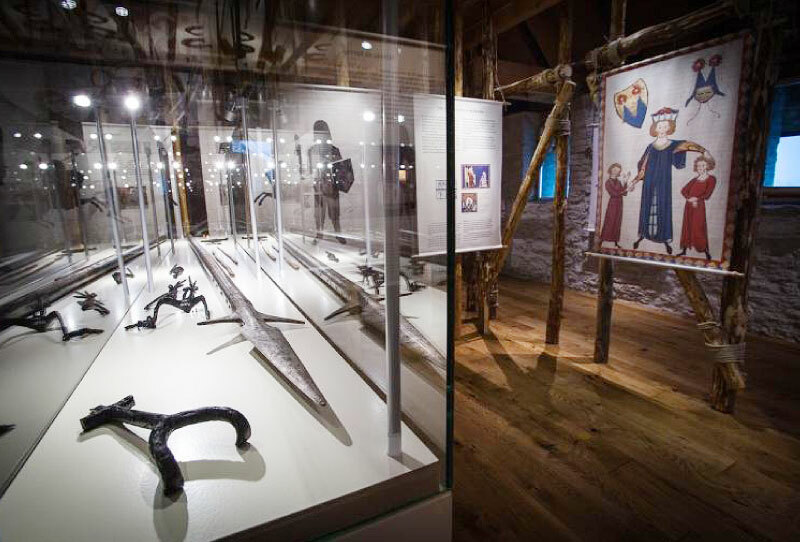 Constructed in the 14th century the Knight’s Hall features a spectacular gothic but elegant atmosphere. Its two halls dominate the south west part of the castle and provide many different seating opportunities. We host small groups of 30 people and larger crowds of up to 500 guests for concerts and seminars. Seated dining is possible for approximately 260 guests. 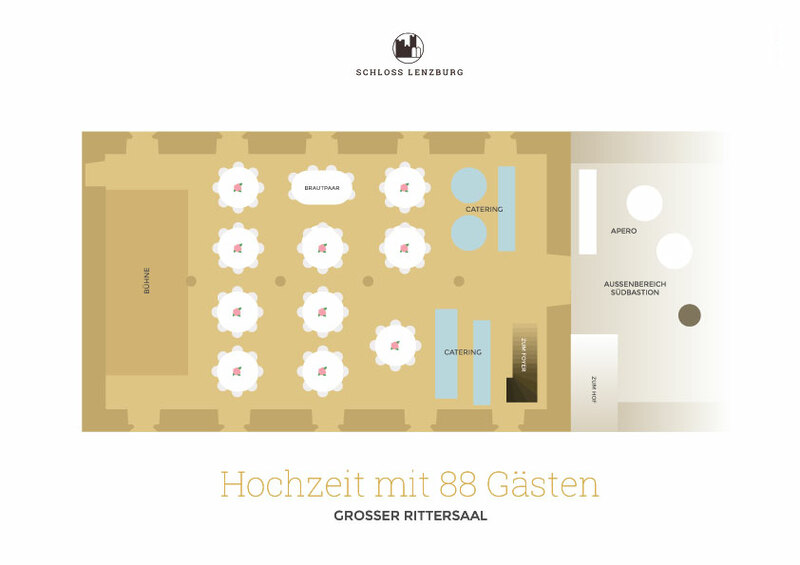 Lenzburg Castle offers many different event opportunities with rental prices for seminar rooms starting as low as CHF 100, halls starting from CHF 250 (for public events). 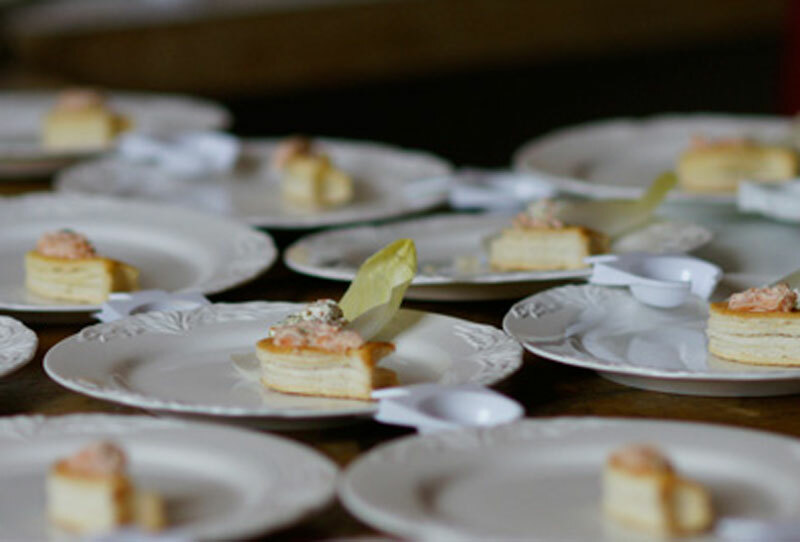 Since prices vary according to duration and included facilities, please contact us to get a precise quote for your desired event.